Join OMCA and the Center for Asian American Media (CAAM) for the world premiere screening of BLASIAN NARRATIVES during Friday Nights @ OMCA. 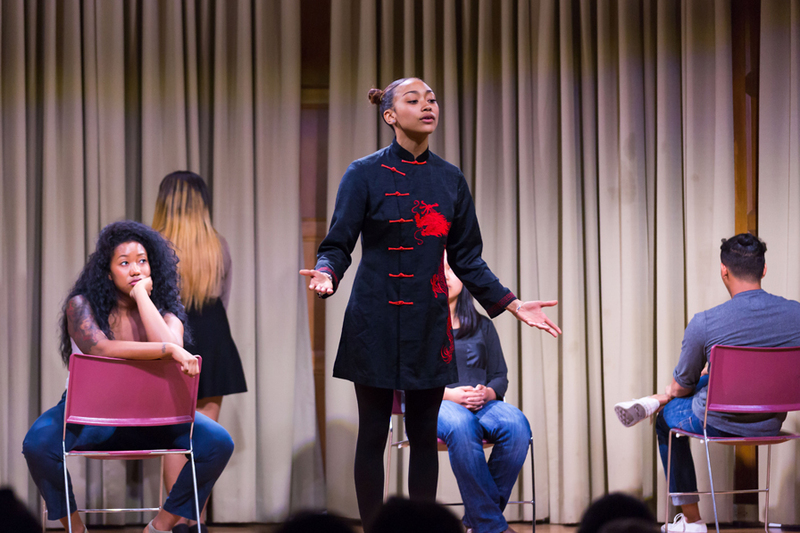 BLASIAN NARRATIES is a multi-media “Docu-Theatre” project that intimately explores the intersection and identities of mixed race Black & Asian individuals through live performances and film. The project began as a collaboration between Morehouse and Spelman College students documenting and exploring the identity formations of individuals with mixed Afro-Asian heritage, colloquially known as “Blasians.” The grassroots project aims to bring historically polarized communities together by illustrating the complexities and unity of identity awareness–how you see yourself vs how you are seen–in hopes of building solidarity along the way. The cast and crew now includes students and graduates from Stanford, NYU, and more. Celebrate the 35th anniversary of CAAMFest, one the Bay Area’s premier film festivals. Known for outstanding entries that spotlight Asian-American stories, filmmakers, and film producers, screenings on both sides of the Bay promise to be as dynamic and powerful as ever. Past CAAMFest screenings at OMCA have included WHEN THE BOUGH BREAKS (2013), AWESOME ASIAN BAD GUYS (2014), CHANGING SEASON (2015), and MELE MURALS (2016). Enjoy live spoken word performances and a conversation hosted by 106 KMEL’s Lady Ray, along with other special guests to be announced. Seating is limited. Advance tickets required. Friday Nights @ OMCA features half-off Gallery admission, Off the Grid food trucks, live music, family-friendly activities, and more. OMCA Members will receive a special code to use when purchasing tickets online in an email. For additional information on Member tickets, or to become an OMCA Member, please visit museumca.org/membership, or contact the Membership office at membership@museumca.org or by calling 510-318-8520. Presented in partnership with the Center for Asian American Media and CAAMFest 2017.